Did you know that The Phantom of the Opera has been playing at the same theatre for over twenty-seven years? It must be some sort of record right? Actually the show is the longest running show in Broadway history. In fact with worldwide grosses totaling over five billion dollars the show is the most financially successful entertainment event to date. Pretty impressive I would say. Now growing up in a small farm town in Illinois I wasn't exposed to a lot of theatre except for the shows I did in high school or community theatre. So imagine my surprise when I heard the cast recording of The Phantom of the Opera for the very first time. To say I was blown away was an understatement. Cut to a couple of years later and I purchase tickets to go see the show in Chicago. Of course I wasn't planning on a storm to hit on the weekend of the show. As you have probably figured out I didn't see the show. Two years later I move to New York to study acting and I finally get the chance to see it. I loved it of course. After all I had built the show up in my head for almost half a decade so I knew if even I thought the show wasn't exactly perfect I would still enjoy it. Now while I haven't seen the show since, it still remains one of my favorite theatrical experiences of all time. That will never change. As I mentioned the show has been playing for a long time which means most people have probably already seen it. Probably even a few times in fact. But for those of you who know nothing about the show here is a little synopsis about it for you to get a little more info. Enjoy! Based on Gaston Leroux's 1909 novel, Phantom centers on the hideously deformed "Phantom" who lurks beneath the Paris Opera and the object of his obsession, the young soprano Christine, whom he is determined to make a star thereby winning her affections. With a timeless score and a design that reinvented the stage spectacular forever, Phantom is a must-see on Broadway. A must-see you say? You better believe it folks. Now for those of you who still haven't seen it or for those of you who want to see it again there is no better time than the present. Not too mention at prices that are lower than ever. 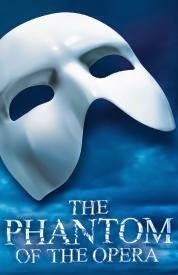 Get your tickets to see The Phantom of the Opera on Broadway at the Majestic Theatre. You will love it. I know I did.